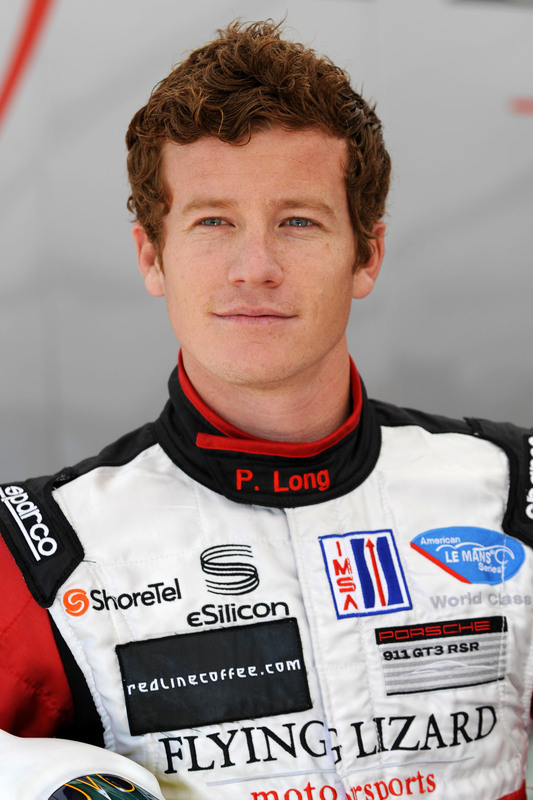 FlatSixes.com caught up with Porsche Factory Driver and Flying Lizard Patrick Long via phone shortly after the Lizards’ appearance at the ALMS race at Sebring. As most Porsche lovers know, Patrick is the only American Porsche Factory Driver. We remember reading about his induction into the Werks circle in Panorama and being so proud that we had him representing us in Stuttgart. It is clear Patrick enjoys his work with Porsche. “They give me these opportunities and put me in such awesome positions to get results that I've been able to achieve.” And what an impressive list these achievements include the 24 hrs of Daytona, 12 Hours of Sebring, Petit LeMans, and the 24 Hours of LeMans, to name a few. Although we had intended to catch up with Patrick at Sebring, the time never materialized, so now we ask him to give us his account of the weekend from the other side of the pit wall. For one so young, Patrick has been in motorsports long enough to acquire wisdom beyond his years. We ask him how it was that he came to be interested in motorsport – was his a motorsport family, as is often the case? Patrick soon made the jump to racing. “In 1990, you had to be eight years old to race. The deal [with my parents] was I had to have a B+ average in school,” says Patrick, and “those grades were easily achievable with a go-cart on the end of that string! I started racing at a local level and that went from local to regional to state to national to international over the next ten years.” Patrick soon started going to Europe in the summers and, aged sixteen, got a paid ride to move to Europe full time and race for the Italians at CRG (one of the big three Kart manufacturers in the world). From there, the transition was logical; Patrick moved into single seaters and formula cars, and spent six years living in Europe racing full-time. How then was it that Patrick went from karting to open wheel to becoming a factory driver for Porsche? “The offer with Porsche was a bit of a crossroad in my career,” he begins. “I had been chasing a dream of a career in motorsport. I didn't have the family funding or the abundance of sponsorship to decide which series or what kind of driver I wanted to be—I just kind of went where people were willing to help me.” While competing in the Elf Campus Program (perhaps the most prestigious racing school in the world), Patrick lived at the university in Le Mans. There, he made contact with racing greats like Henri Pescarolo, an experience that no doubt played a huge role in his winning 24 of Le Mans. We next ask Patrick about those fabled Porsche training camps we’ve all read about. Are they as grueling as they sound, taking the drivers to exotic Mediterranean islands to get buff? Long laughs. “Well, they're definitely extremely challenging and tough, but survivable. If I don't do my homework, then it's pretty hard to take the test. But I've done seven or eight of them …” As far of what Long does to stay in shape in between camps, his regime includes cardio “but also sensory motor training, stability training, strength training and flexibility. PP: Do you actually listen to music before a race? PL: You won't find me listening to music in the car or on the grid or any of that. I don't think that it would hurt; it's just one of those things that I've never wanted to depend on to get myself in the right mindset. I never want to be dependent on anything other than what I have in my brain, which is the only thing you’re guaranteed to have at all times! PP: Do you have any kind of pre-race ritual? PL: Not really. Hydration, nutrition and rest are what gives me my peace of mind. I think there is no right or wrong way to prepare yourself for a race. I tell people to do whatever it takes for them to believe that they're well-prepared. PP: Do you have a win that was most memorable? PL: You know, fresh in my mind is definitely the Rolex 24 Hour at Daytona this year. It helped me to get to that milestone of winning each one of the major sport car races. But, you know, Le Mans is still for me the race, from a sports car driver's perspective, and I wouldn’t trade that win for anything. Special thanks to Patrick for taking the time to sit down with the FlatSixes.com team and Jennifer Hart of Flying Lizard Motorsports for setting things up.